Introduce your little learner to some vehicles and the shapes that make them up with this fun match-up activity. She'll get to practice sorting and categorizing, and she may even learn a few new sight words in the process. This shapes maze helps kids with shape identification. Your kid will compare and contrast shapes in this fun, mud-filled game. Shapes don't have to be puzzling. 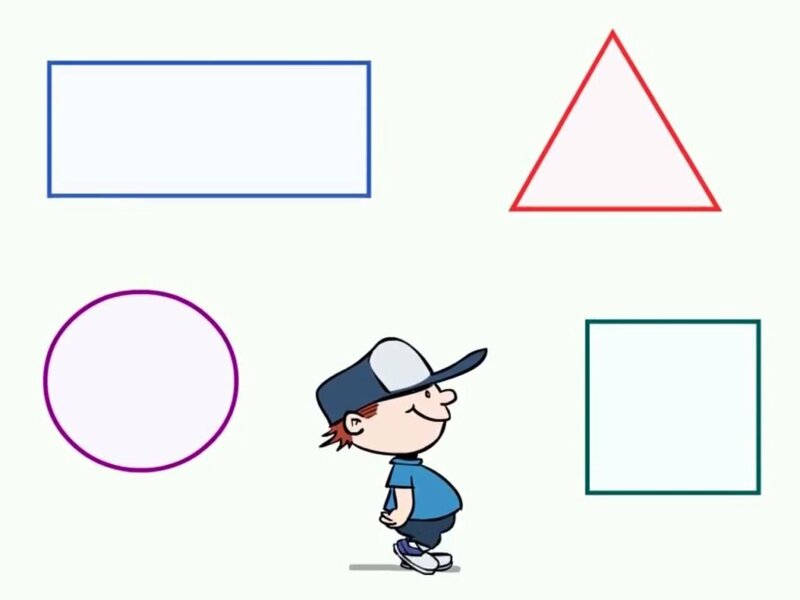 With this lesson, your students will learn shape names and shape identification as they put these simple puzzles together. He'll be identifying colors and working on pattern recognition as he colors each vehicle to match its pair. 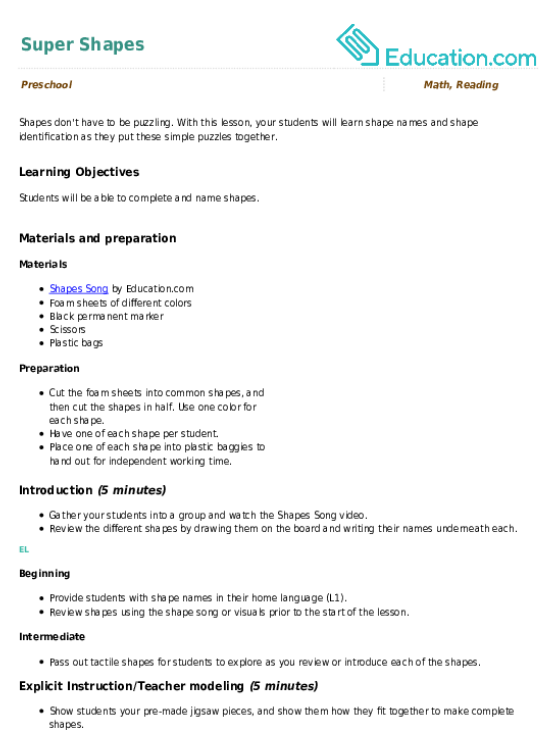 Have your child take the lead on drawing and identifying shapes, and learning art skills as well. 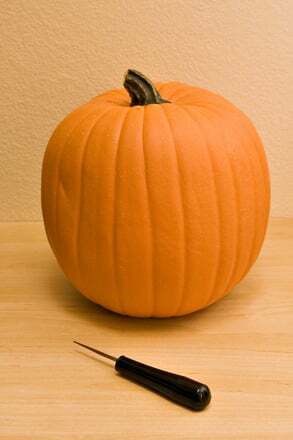 Here's a Halloween, math activity: have your preschooler or pre-kindergartener carve shapes into a Jack-O-Lantern face and boost her shape recognition skills. 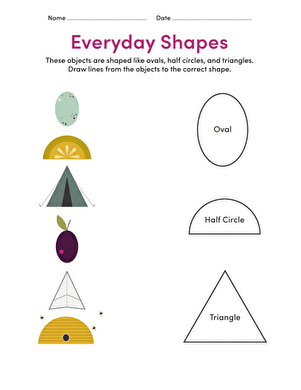 With this worksheet, your child matches mixed-up shapes together. The 4th of July celebration is full of stars, stripes and many other shapes! Can your child find all the shapes in this festive coloring page? These shapes have matching everyday objects. 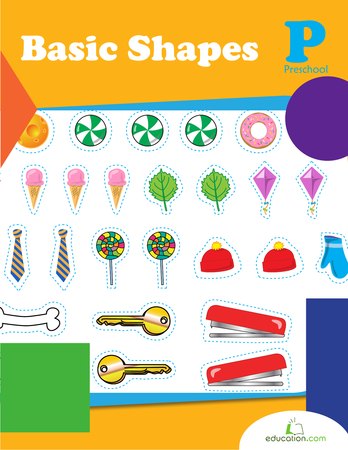 Can your preschooler connect the shapes to their matches?